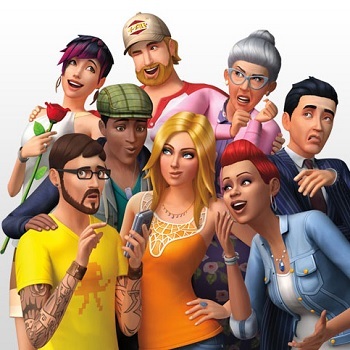 EA and Maxis use the famous Sims pixellation to combat piracy of The Sims 4. When a big publisher like EA implements new anti-piracy measures, the gaming community tends to react rather negatively. It's not undeserved, especially after digital rights management has caused problems for perfectly legitimate customers in the past. But the anti-piracy efforts in The Sims 4 are actually refreshingly hilarious. Anyone remotely familiar with The Sims series would recognize the pixellated blur that appears over a Sim's naughty bits when stripped down to shower. Unless your game suffers from a glitch, that blur would disappear once your Sim is decent. Players that pirated their copy of The Sims 4 have a completely different experience. 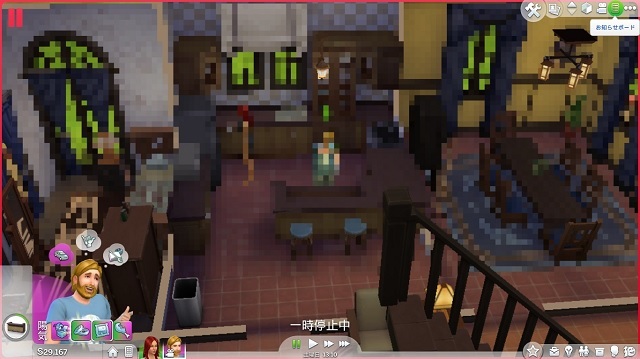 Pirated copies of the life-simulator actually cause that pixellated blur to slowly expand until it covers the entire game world. The HUD appears unaffected. Even better, users have turned to the official Sims 4 forums (down as of this writing) asking for guidance and to complain about the "malfunctioning" game. One can imagine that customer support has been hit with pirates seeking help. Of course, voicing the issue is enough to mark the user as a pirate. EA has stated that it does not intend to assist players with pirated copies to make their game playable. The players are encouraged to purchase the game to play it without the pixellation. Our own Jim Sterling was less than happy with The Sims 4, particularly with how stripped down it was. Still, if you're a fan of the franchise, check out our quiz, "How Would You Die in The Sims?" to see if a cloud of pixellation is in the cards for you.